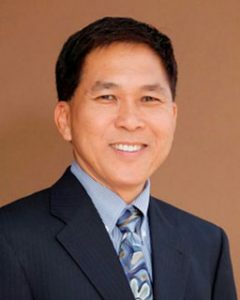 Terry J. Fong brings a diverse and unique legal perspective to his law practice which enables him to provide well-rounded, insightful and creative counsel and solutions for his clients. He earned his first law degree from the University of Auckland, New Zealand in 1978 and was admitted to practice law in New Zealand and Fiji that same year. He practiced law in Fiji for five years, first as a Prosecutor in the Director of Public Prosecutions’ Office for the Government of Fiji gaining immediate courtroom experience, then in private practice in the areas of insurance defense, civil litigation, business and family law. He moved to Arizona in 1983, enrolled at Arizona State University College of Law in 1984 and obtained his law degree (JD) after two years, in 1986. He passed the Arizona Bar exam that same year and has been practicing law in Arizona ever since. He joined the international Chicago-based law firm of WINSTON & STRAWN as an associate attorney in its Phoenix, Arizona office where he practiced primarily insurance defense law and civil litigation. Thereafter, Mr. Fong practiced at a number of other Arizona law firms enhancing his litigation skills and adding family law, real estate, business and personal injury law to his practice. During the course of his 30 plus year legal career, Terry J. Fong has built a record of success in litigating diverse civil matters and has obtained substantial verdicts for his clients in jury and bench (judge) trials.